The Club’s big 2014 national event will take place at Brands Hatch circuit in Kent from Friday, 19th September, to Sunday, 21st September. What promises to be a memorable and highly enjoyable three-day gathering will be staged in conjunction with the Club’s motorsport department, MotorSport Vision and, of course, Porsche Cars Great Britain. Porsche Club GB will be exhibiting at the Autosport International at Birmingham’s NEC from Thursday, 8th to Sunday, 11th January. The Club's annual Pirelli barbecue will take place at Cornbury House (GL56 0JQ) on Sunday, 7th June. Porsche Club GB, in partnership with Lycian events, will have a presence at the famous endurance race. 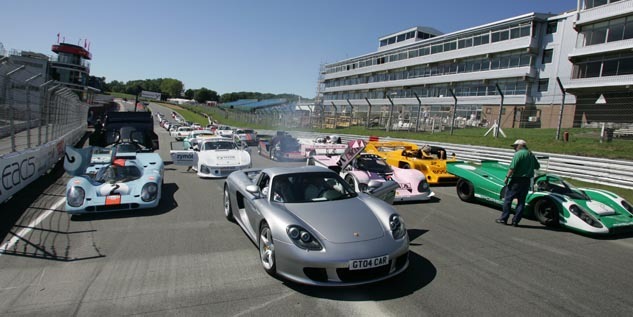 Porsche Club GB will have a presence at what is widely regarded at motoring's largest garden party. The date for the Club’s second annual linkup with the Bugatti Owners’ Club will take place on Sunday, 5th July. The World's Biggest Classic Motor Racing Festival celebrates 25 years in 2015. Porsche Club GB's National Event will take place at Althorp, Northamptonshire.